Dynamic, inspirational and bringing together the green building community worldwide…these were some of the ideas that guided us through our international Greenbuild rebrand at USGBC earlier this year. As part of our event strategy, we aim to evolve the look of the show branding to touch on different topics and trends, while maintaining the core Greenbuild aesthetic as a thread. With one year of international shows under our belt, we were looking forward to the evolution of the visuals, based on our experiences. 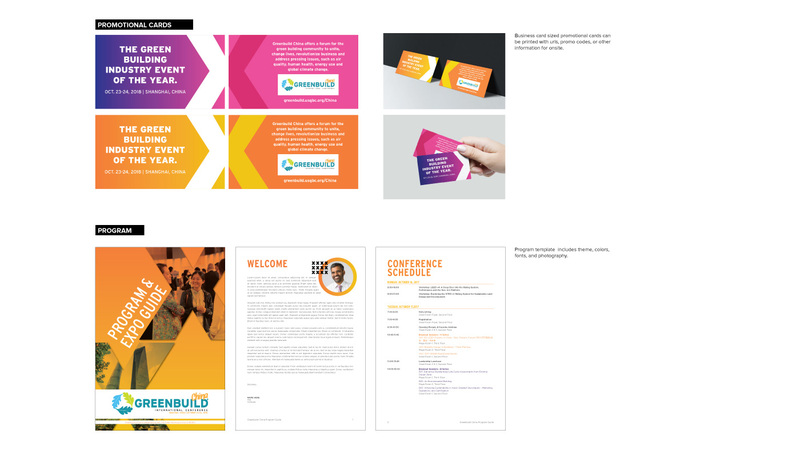 After our inaugural year using the colorful city skylines with Greenbuild China, India, Europe and Mexico, we kept the existing logo lock-ups with the location, along with the bright color palette, and used that as a base to expand the look. 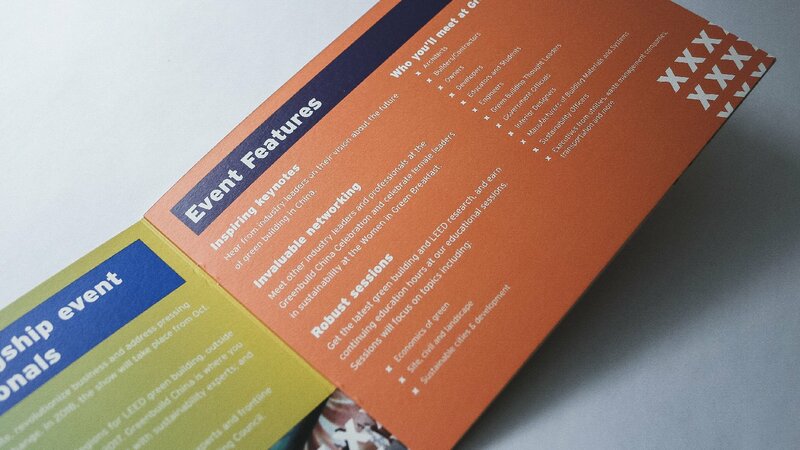 We continued the use of our bright color palette for international Greenbuild events. We aimed to fuse those pieces together with elements that would adapt and flow from city to city, as well as tie in the overall “Human x Nature” Greenbuild theme in a way that was unique to the international market. Using the “x” from the theme on an expanded scale, we blended it with photography and gradients to create a colorful and engaging element for the look of show, as well as accenting designs as a smaller repeated detail for visual interest. We used the “x” in subtler design elements as well. We then incorporated more of the “human” part of the theme, with photography featuring people from past events playing a key role in the overall design. 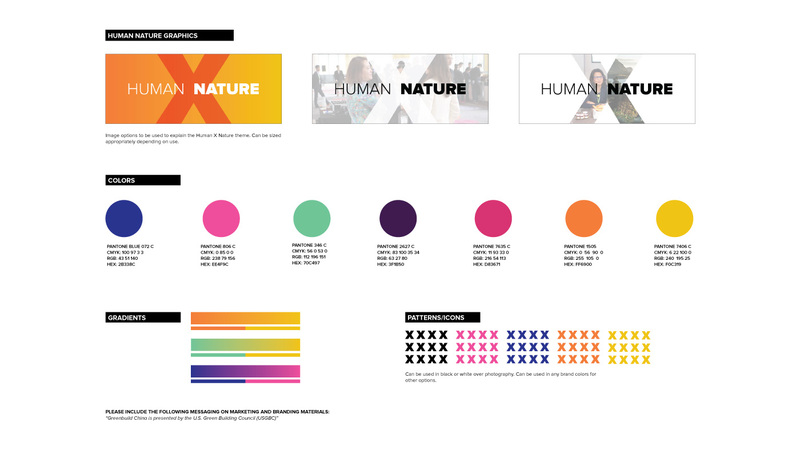 This manifested in a unique and fun way, where the “x” served as a holding shape for images, providing glimpses of attendees among the dynamic graphic elements. We played with using images of people in the “Human x Nature” theme. We are excited by how this rebrand is already appearing in printed pieces, advertising and websites, and are looking forward to seeing it in action at the show for the first time, this October at Greenbuild China. 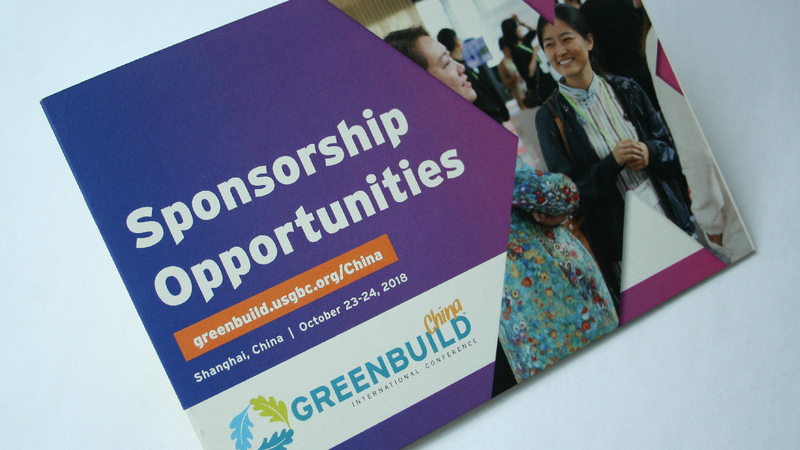 We’re ready for Greenbuild China.